At Victor Harris we offer a serviced office search service. This is based on us sourcing suitable serviced offices. Which includes flexible office space anywhere in London. Are you looking for flexible workspace? We operate as a serviced office broker with commercial property agency experience. This means businesses will receive from us more detailed advice. We can provide pro’s and con’s for both serviced and leasehold marketplaces. Increasingly many businesses are unsure if they require serviced or leased space. It is on this basis you would ask Victor Harris to do a full appraisal. This is known as workplace consultancy. This is to review your current use of space in order to establish which is best for your business. Serviced offices are great for those looking at reducing spend in year one. Or if a business wants flexible, social workspace. For example there is no fitout costs. Even the deposit is limited to one or two months only. 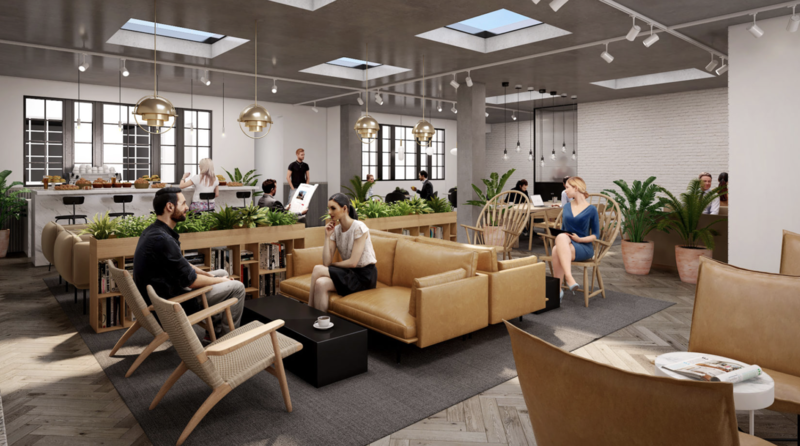 Flexible workspace is perfect for businesses who are likely to change staff numbers quickly. It is also good for staff moral who generally prefer working in social environments. For example growing media or tech companies. Another great incentive with serviced office search at Victor Harris is that there are no fees. This means our service for you is completely free, it’s a no brainer. Receive our recommendations and advise with no charge. If you are curious about serviced offices then why not contact Victor Harris to hear more? Do you require a flexible office? Serviced offices are unique to leasehold. They provide businesses with flexibility. All you need to pay for is your working space and the building has already other facilities. These include meeting rooms, kitchen / breakout areas and furniture is included at no cost. If you are looking for costs to be limited and for flexibility, serviced office space provides the best alternative. I instructed Victor Harris to help source the new London office for my firm, Davise and Partners Solicitors. I need a company who had knowledge of my chosen locations and who would be able to immediately find the right space, accommodating my firms expansion. Immediately, I felt that I was in safe hands. I was impressed with how professional and attentive Victor Harris were and it was not long before the new London office base was found. I found Victor Harris to be reliable, tenacious and always available to discuss and answer queries I had throughout the process. I would not hesitate to recommend Victor Harris Commercial to any professional services firm looking to relocate in the Central London Area. Victor Harris’ expertise covers the entire leisure sector be it cinemas, restaurants, health clubs, hotels, bars, pubs or clubs, covering all areas from leading franchises, to stand alone schemes. Victor Harris can offer comprehensive market-leading insight across all types of leisure properties for all types of clients. Whether you’re a large-scale investor looking to build your portfolio to an occupier client looking to negotiate the best deal on a lease for your new venture. Victor Harris our proud that we have in-dept knowledge of the leisure market and we continue to advise multiple well known operators. Victor Harris use cutting edge comprehensive agency systems in order to successfully represent restaurant and retail searching for premises in London. Focusing completely on acquisitions we only represent the tenant; your property acquisition is our number one priority. Our in-depth understanding of the market can guide you through every major decision. We believe Victor Harris are the only advisor with the depth of knowledge to support you throughout the full property life cycle. Victor Harris’ advice covers all aspects from development, leasing, acquisition, disposal, rent review and lease renewal situations. Our Retail and Restaurant agency team caters for properties and developments of all sizes. Our surveyors have unrivalled transactional experience advising clients in retail and restaurant agency. You will always get the best results with Victor Harris.